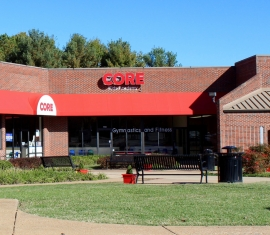 CORE Kids Academy is a unique gymnastics-based fitness program for children. Our mission is to instill and develop confidence, fitness, and life skills through gymnastics. The goal of every class we teach is to provide a fun, friendly environment where our students can build strength, improve coordination, and let their self-confidence flourish. With adaptable lesson plans that can be easily modified to the individual needs of each child, we incorporate students of all gymnastics abilities and backgrounds. Classes are grouped by age, and skills are taught through personal coaching in a group setting.